Students read the sentences and tick their answer. They have to find out if the action described will help protect the environment. 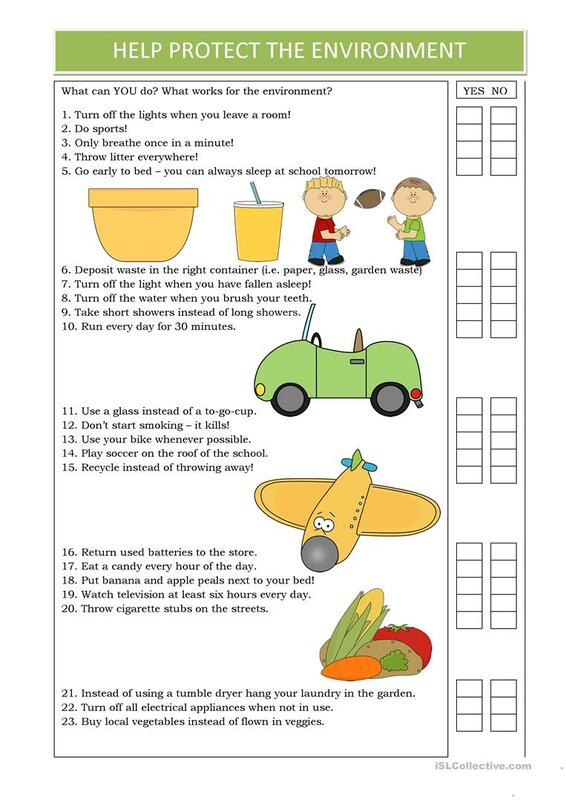 The above downloadable printable was created for high school students, elementary school students and adults at Elementary (A1), Pre-intermediate (A2), Intermediate (B1) and Upper-intermediate (B2) level. It is useful for developing your groups' Speaking, Reading and Writing skills. It features the topic and words of Environment.